With Super Bowl XLIX just around the corner, everyone is making predictions on who's going to win Sunday's big game. From using crystal balls to Kayak analyzing flight search volume data to Arizona, everybody has their own POV based on something or other. As a data-driven digital strategist, I naturally turned to social media analytics. I looked at data from social media activity benchmarking company Quintly. 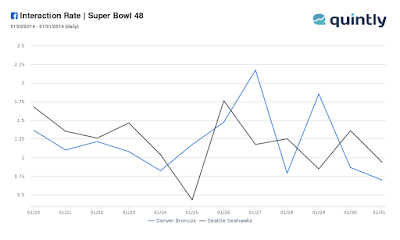 I compared the engagement on the Facebook profiles of the Super Bowl contenders from the past 3 years. 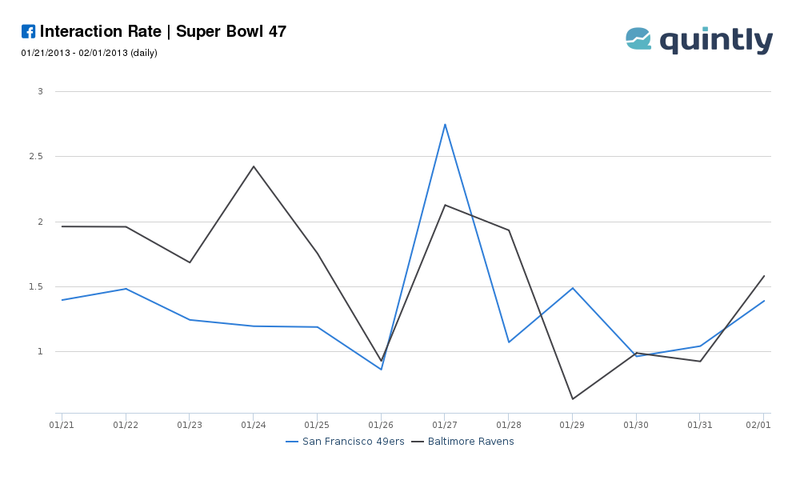 I looked at the Interaction Rate from the Monday after the teams won the conference championship game to the Friday before the Super Bowl. 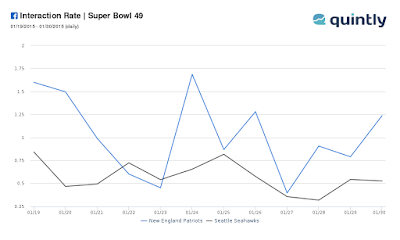 The Facebook Interaction Rate of the last Friday has accurately predicted the winner of the last 2 Super Bowls. 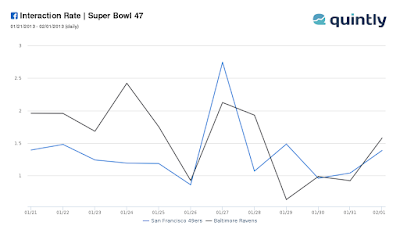 In Super Bowl 47, you can see the Ravens had a final surge of interaction and barely eeked out a win against the 49ers on Interaction Rate, as well as on the field, winning the Super Bowl, 34-31. 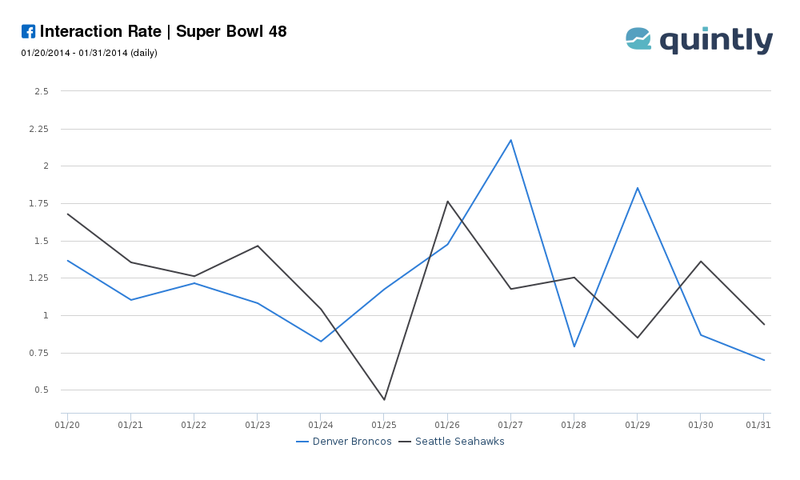 Last year, the Interaction Rates of both teams were quite sporadic,with the Seahawks ahead by a large margin in the end. And in the big game, Seattle also beat Denver, 43-8. Looking at this year's data, while there's been lots of chatter about the Patriots the past week, most of it is over Deflate-Gate. So not really positive mojo. 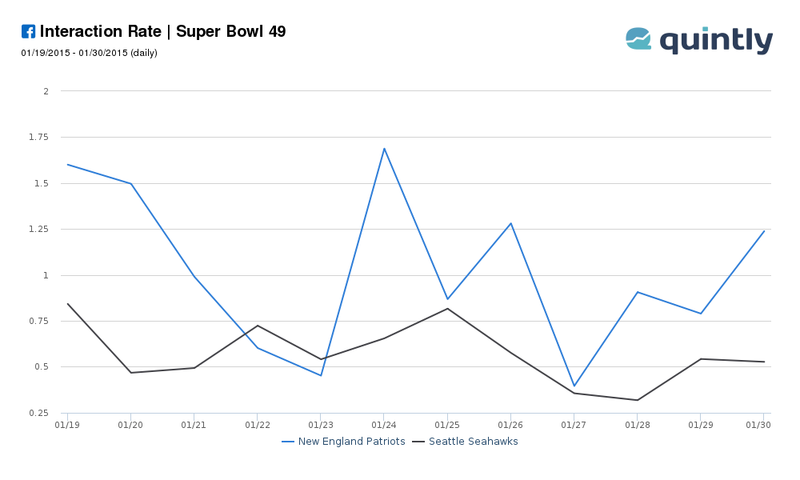 In fact, while Seattle's Interaction Rate doesn't change much, it appears the Patriots' sees a spike the last 2 days. This means the Patriots will likely win Super Bowl XLIX tomorrow. Disclosure: I am an advisor to Quintly.